The Bishop’s Company, at its’ one gathering event in the year, has a great speaker, Mr. Walter Gretzky. 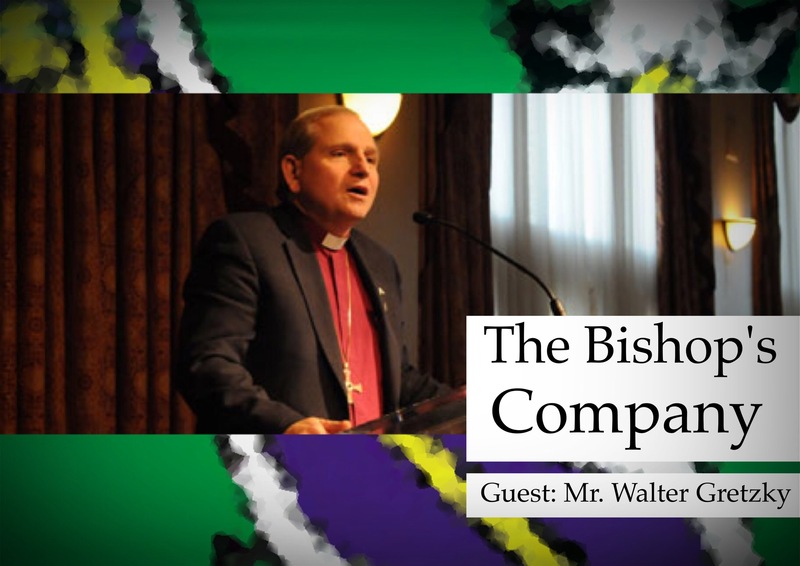 The dinner functions a both an opportunity from Bishop’s Company supporters to gather and meet together and to celebrate the work done by The Bishop’s Company. The work of The Bishop’s Company is to provide the Bishop of Niagara with a discretionary fund to assist Anglicans in need in the diocese with a primary emphasis on clergy and lay workers, and their families. Formed in 1951, the Bishop’s Company has been helping in many ways for 63 years. St. George’s encourages its’ people to consider becoming a member of of the Bishop’s Company and getting a ticket for this dinner is a great way to begin your membership. The dinner will be held on September 29 at the Burlington Convention Centre. For more information about this years dinner and its’ speaker read more about it on the diocesan website or visit the Bishop’s Company web page.